With client questions, observations and comments as inspiration, we’ve been writing about investments, markets and financial planning since we founded Atwater Malick in September of 2008. 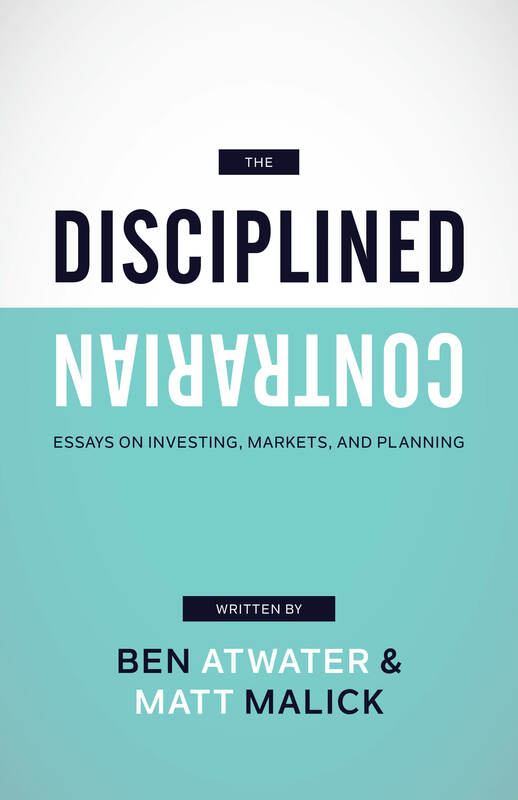 We’ve compiled a selection of these essays into our first book, The Disciplined Contrarian, published in the fall of 2017. The book is an overview of a fascinating period – one that includes the most serious financial crisis since the Great Depression and the remarkable bull market that followed it. The essays in this book cover the time period from the fall of 2008 to the summer of 2017. The essays, though, are anything but old news. Rather they are more enjoyable with the benefit of hindsight. For one, you can see how right or wrong we were. Most importantly, though, the lessons in these commentaries should be meaningful decades from now. The fundamentals of investing are enduring.